By now, you’re likely familiar with Square, the financial services business which has enabled thousands of small businesses to take credit cards via their mobile devices. Last year, the company unveiled a product called Square Cash. It was initially touted as a way to send money via email, but that’s actually a rather minor part of it. 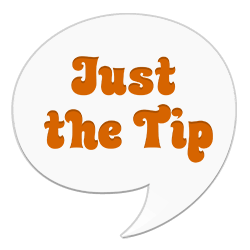 The real key to the service is that it’s a free and easy way to send money from one bank account to another, often nearly instantaneously. Think the original vision of PayPal, but faster and friendlier. If you’re an American with a Visa or MasterCard debit card, you can send and receive cash at no charge. It’s great. 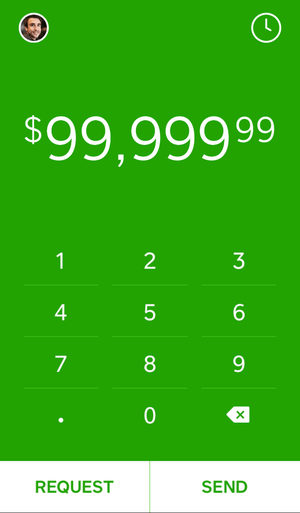 In addition to sending money via email, Square Cash offers mobile apps for iOS and Android, and they work quite well. However, the design of the app is…a little wonky. For instance, after you sign up, you can invite your friends to make use of the service as well. 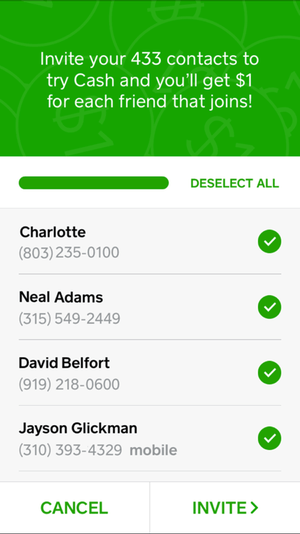 The app looks at your contacts and enables you to send them an invitation. All of them. As you can see, the “Select All” option helpfully set me up to text 433 of my closest friends. Invite your barber, your old dentist, and that girl you took out twice 11 years ago. Admittedly, my address book may be in want of some cleaning out. Still, enabling a user to send a mass text to hundreds of people is perhaps not the best idea. The bad ideas continue, with the send and receive screen. Here, you punch in an amount to send or request. 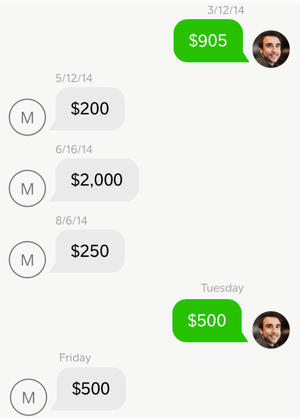 Sending in Square Cash is initially limited to $250 per week, and maxes out at $2500 per week once you’re verified. Nevertheless, you can attempt a request for up to $99,999.99. You can just pay me $250 weekly for the next 400 weeks. What really cracks me up, however, is the history. The app uses a rather amusing messages-type view to show money being sent and received. For instance, here you can see I’ve really been raking it in with sign-up and referral fees. “The Cash Team” is a cool name. Where this gets really ridiculous is when money is passed back and forth with a friend. I like to read this as an interaction with the world’s worst negotiator. We begin with an opening price of $905. A very low $200 counter comes in, but before any response arrives, it’s followed by a $2000 bid! Excitement then cools and the proposal is lowered way back down to $250. The seller responds with a $500 offer, and the buyer finally agrees. Whew! 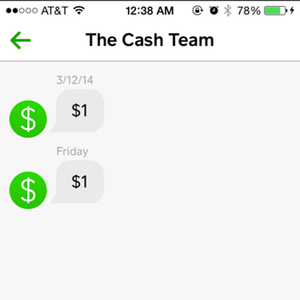 Though the app is goofy in multiple ways, Square Cash really is a great way to transfer money between friends and acquaintances. Sign up here and we’ll each earn an entire American dollar, free. If enough people sign up with that referral link, I intend to “make it rain”1 in “da club”2.